At Dezion Studio, we specialise in custom design lighting with simple and natural designs and a focus on functionality and sustainability. As a small practice, we are very flexible, move quickly and easy to adapt. Our design process is driven and shaped by having the user in mind, as well as the environment in which the design must function. I start with listening. I believe the key to a good relationship is to listen rather than imposing my ideas on the client or the project. The form and shape of the designs, and the materials used for them are all determined by this approach. Stock clearance sale now on! Up to 30% off all products. Limited time only. Arcanum Home is a showroom featuring a range of handmade lighting and furniture products that is unique in design and exclusive to us in Australia. Our handcrafted products are produced in boutique workshops and not mass produced. We also collaborate with ArtWeMe art gallery specialising in modern Asian arts that has galleries in Singapore, Malaysia and USA. Many of our artists have works that are held in high regard and have had exhibitions around the world. 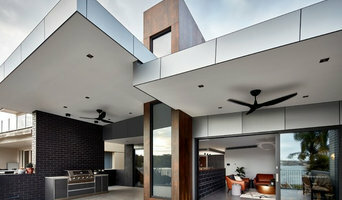 Owned by an architect and has a team of interior designers, we have the knowledge and experience to assist you with the interior design and construction. We often provide internal sketches to assist customers to visualise how our products fit into their homes. We are also able to assist with interior planning and decoration. Come visit our showroom at Bondi Junction and talk to our friendly team members. 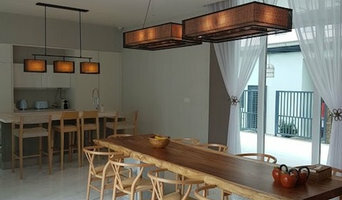 Afterglow Lighting is Sydney's lighting design and installation experts. We supply industry leading lighting products that are cost-effective, high performance, and beautifully designed to complement your home. We will design a tailored lighting plan to suit your budget, provide all the light fittings and control panels, and oversee the installation of your new lights and controls, ensuring your experience is as hassle-free as possible. We’ll take the time to truly understand the way you and your family live, work, and relax in your home before designing a custom lighting plan tailored to your aesthetic and your lifestyle. At Afterglow, we combine our technical knowledge of lighting science with interior design skills to create the right blend of beautiful ambience where you relax and functional lighting where you work hard. We’re the friendly, affordable and knowledgeable lighting experts that combine installation experience with a passion for design. We’d love to guide you in transforming your home with light. SØKTAS is passionate about making beautiful and functional glassware. Oliver Höglund and Ryan Roberts are the creative minds behind SØKTAS, and the company’s inception began in Norway where they met. Oliver focuses on creating and designing the unique pieces, while Ryan operates the business; however their brand is a reflection of both their stories and visions. Oliver’s father and grandfather worked at the renowned Kosta Boda Glassworks in Sweden, and the craft has been passed down through the generations. The skills and techniques learned by Oliver in his 15 years working around the globe have allowed him to perfect his craft and create his own signature style. The process of hand-blowing glass is rigorous and intense, as the molten hot glass is shaped and blown by hand at around 1000° C by Oliver himself. 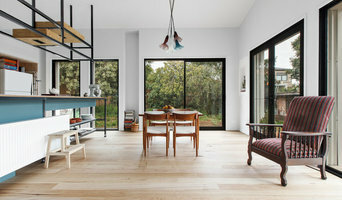 Axiom Lighting is a design and making studio owned and run by Ian Hewitt, situated in a bush setting over-looking the Tamar River Estuary in Northern Tasmania. Each wall light, table lamp and floor lamps is handmade by Ian, from selecting the veneers to the finished product. Drawing on 30 years of fine wood working experience and a commitment to the natural environment, the designs are produced using .6mm thick timber veneers to maximize the appreciation of Tasmania’s special timbers. Other components used in the products are locally produced where possible. 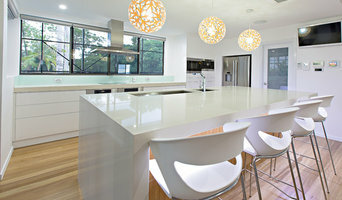 We are a medium size lighting firm based in Sydney's relaxed, easy-living Northern Beaches area. Our proximity to boats, sea and surf (salt air), is no doubt why we were the first lighting company in Australia to specify 316 marine grade stainless steel in all our products. We are well known for 'inventing the obvious'. For example, we invented 'Skyline Horizon' - an extruded indirect minimalist lighting system that incorporates exhaust venting eliminating the need for intrusive grills - perfect for kitchens, bathrooms and laundries. Our latest brilliant (and 'obvious'), offering is our incredibly simple and flexible 'ClickSpot' Downlight System which allows you to literally 'click-in' and 'click-out' from a wide choice of different 'light barrels', all with a different function, look / style and throw of light. ClickSpot lets you instanty decide different looks and effects - all ClickSpot barrels fit into trimless or minimal semi-trimless ring mounts. As someone much cleverer than us once said : 'necessity is the mother of invention'. Special Lights has over 80 years of lighting expertise, and are one of the most established lighting businesses in Australia. We pride ourselves on our long term partnerships with leading European suppliers who have a passion for design, quality and innovation. The result is a comprehensive product collection, encompassing both classical & contemporary styles and covering all aspects of modern lighting technology. We offer expert advice from our Lighting Consultants & Designers. This can be tailored to the specific needs of each customer ranging from a one off lamp, through to a lighting plan for a whole home. We work closely with Architects & Designers on lighting design and specification. We can help with individual product needs or requirements for entire projects, both residential and commercial. One of our key points of difference is the expert advice our Lighting Consultants and Designers provide. This can be tailored to the specific needs of each customer ranging from a one off lamp, such as our “My Special Light” service, through to lighting recommendations for an entire house or commercial fit-out. For renovations (small or large) and new builds, we also have various Lighting Design and Planning services. We work closely with Architects & Designers on lighting design and specification. We can help with individual product needs or requirements for entire projects, both residential and commercial. Our showroom is based in Sydney, however, we cater for clientele Australia-wide. Lighting designers will analyse your home's layout, structure and needs to create an effective lighting plan throughout your home. 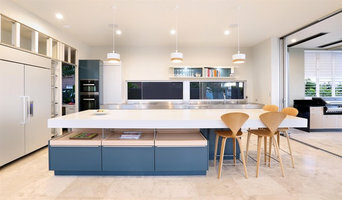 This may involve the addition of new light fittings but may also include the movement or addition of power points — recommendations to suit your space and your lifestyle. Though electrical engineers or interior designers can take on the task of outfitting your home with the appropriate lighting, a professional lighting designer explores lighting as a technique. They can match your style, be it antique lamps to match your eclectic vintage home, or modern wall floor lamps to go with your designer furniture. Think about how you plan to use each area of your home. It's important to communicate to your lighting designer which space will be used as for reading and which for enjoying a movie or entertaining, as these will require very different lighting methods. In addition, consider how you'd prefer to control the lights. Lighting technology today includes dimmers, sensors, photocells (that let lights react to the amount of daylight in a space), programmable scene controls (that let you program different settings for varied lighting) and whole-house lighting controls (that let you control all or a portion of your home's lights from one source), allowing you to tailor your lighting controls however you wish.